Boost Your Memory & Have Fun Doing It! School time has returned. Morning routines need adjusted to accommodate school’s early start. Afternoon schedules get adjusted to fit in homework and extracurricular activities. In the midst of these adjustments, I recommend one additional change to your routine. Your children will likely enjoy this small change. In fact, my daughter used to make this change because she thought it was fun. She climbed a tree, sat down in a nook between branches, and read her book. Why would I suggest you make climbing a tree part of your children’s daily routine? Because this kind of activity can boost your children’s memory and potentially increase learning. It’s true! A recent study conducted by researchers in the Department of Psychology at the University of North Florida found activities like climbing trees, walking or crawling on a three inch wide beam, running through an obstacle course barefoot, or lifting and carrying awkwardly weighted objects can boost a person’s memory by 50%! Why do these activities boost memory? Well, these activities require at least two things: 1) an awareness of where your body is without stopping to look at it and 2) planning some route of movement. That skill combination enhances working memory… boosts your memory and potentially enhances learning. If that sounds like recess, I agree. It also sounds like we need to encourage our kids to climb a tree or run through an obstacle course after school. It might make their homework go faster…and improve the quality of work they complete. And, if you participate in these activities with them you will boost your memory too! 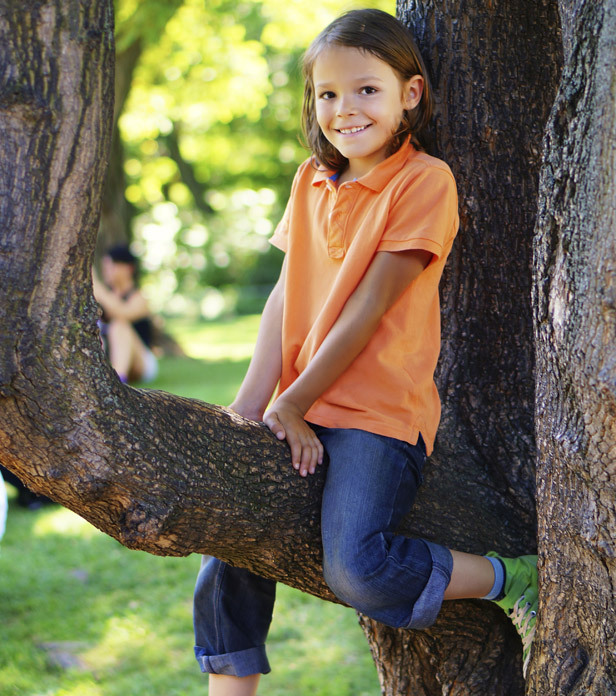 So, rather than sitting back to watch your children climb a tree, get out there and join in—climb a tree, race through the obstacle course, boost your working memory and your children’s working memory while having fun with your children. How can you beat that? !